Name Your Kid After a Dragon? My son recently named his baby girl "Sephira" (or "Saphira?) , pronounced "suh-FEE-ruh" or maybe suh –FIE- ruh." Not sure, nor is he. She’s named after a dragon in a video game. Naming a kid is a parental prerogative which has almost as much importance as our God-given right to child abuse. The problem is, there are no classes for naming children, and many parents do not realize that the name they are assigning to that little bundle of joy may involve more responsibility on their part than is commonly thought. The name is going to be with the kid forever: in kindergarten, in the seventh grade, in College, in the military, in the workplace, in the nursing home, and on the tombstone. Does the newborn, who can’t choose for him or herself really deserve to be named after a video game monster? Think about it. I saw a picture of a smiling lady holding her newborn baby (was it the first born in L.A. on New Years or something?). She had named the wee darling "Chimère", which probably sounded quite sweet to her at the time. A little research might have let her know that "Chimère" is the French name for "Chimera", in Greek mythology a fire-breathing creature with the head of a lion, the body of a goat, and a serpent’s tail. Did you know that were 2,516 kids in the New York State in 1994 called " Feh-MALL–ee?" Spelled "female" on their birth certificate by the hospital! You can’t make up stuff like this! (over 3,000 named "male" , pronounced "Molly") I guess there may be an excuse for accidental names, but going out one’s way to saddle a kid with a ridiculous name like "Chevette" , "General", "Chlamydia" or " La Velveeta." should be a capital offense. Now when I order a pizza and the young twit behind the counter asks me what my first name is, I tell her "Number Three" right after my older sisters, "One" and "Two." None of her damn business what my prenom is, especially if it one I would never have picked for myself, like "Harold." Totally stupid names do have one advantage: they set you apart with a name people will remember (if that it what you want them to do.) like Frank Zappa’s names for his kids: "Dweezil" and "Moon Unit." "Gospel" and "Knight Sir Lancelot" are real people in New York State. And then there is the "nickname." When I was a kid, I remember a comic strip character in Steve Canyon called "Nastalthia" Smythe-Heatherstone. (nickname ..."Nasty") Pandora might morph to Panda" on the school playground. I was at a college club meeting at a member’s house where the parents of out honor-student hostess were still calling her "Baby", which, though not name-derived must have embarrassed rankled that poor18 yr. old girl in front of her peers. Hard to solve the hurtful nickname thing, but at lease parents need to be aware of what could be made out of their kid's first name. Some names just demand to be made fun of. I ran across the real name of Robert Sloppy (cross my heart) last week . What would immediately come to a creative second-grader’s tongue? "Hey, Sloppy Bobby!" Maybe we should do our kids a favor and think about changing some last names, too. I wish my stepson would quit calling his little grandson Matthew, "Bubba." That name may stick, preventing him from ever becoming heart surgeon. Would you let someone named "Bubba" do a sextuple bypass on you? One of the more ludicrous, but pervasive scenarios is having an old folks home filled with decrepit women named "Debbie", "Candy", "Bambi", or "Tinkerbell." Old ladies wear these cute little names about as well as they will their cutesie little dignity-destroying tattoos. Ah well, enough. My only suggestion, other than using all of your powers of dissuasion to keep young parents from foisting unspellable, unpronounceable, and ridiculous names upon their defenseless newborn babes, is just to assign each kid a number, which will identify him or her much the same as prisoners are so catalogued. When the kid reaches age 35, or when they can pass an IQ test with a score higher than room temperature, they could have the privilege of choosing their name, hopefully with a 30-day trial period attached. Who the hell wants to go through life being named after a dragon? 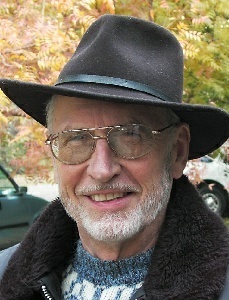 Note: Some 50+ rants by Uncle Bill may be found on www.progressivewritersbloc.com For masochists only.